I think the crop top and high-waisted trousers will be my favourite outfit combination for a long time! I am obsessed with printed trousers and think they're such a style staple to add to your wardrobe! As you all know I'm so obsessed with the spaghetti strap style of crop top at the moment. 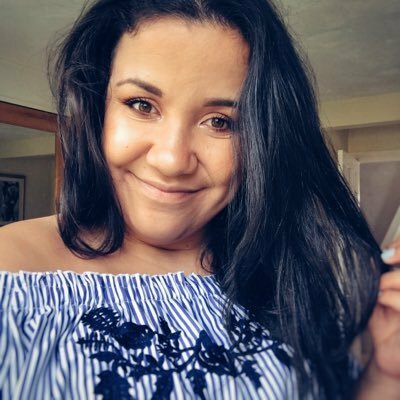 I found this gorgeous mesh panel crop top from Missguided which I absolutely love. It's a great piece to add to your summer wardrobe to wear with shorts, skirts and trousers! It also comes in lilac, pale pink and yellow too! I've teamed it with these patterned trousers from Missguided which have such a striking pattern. I love these types of trousers because they are easy to wear during the day but also at night too. I'm wearing a dark purple lipstick which is shade 31 by Kate Moss which I'm loving at the moment! I'm seriously loving this necklace at the moment and I can't stop wearing it! 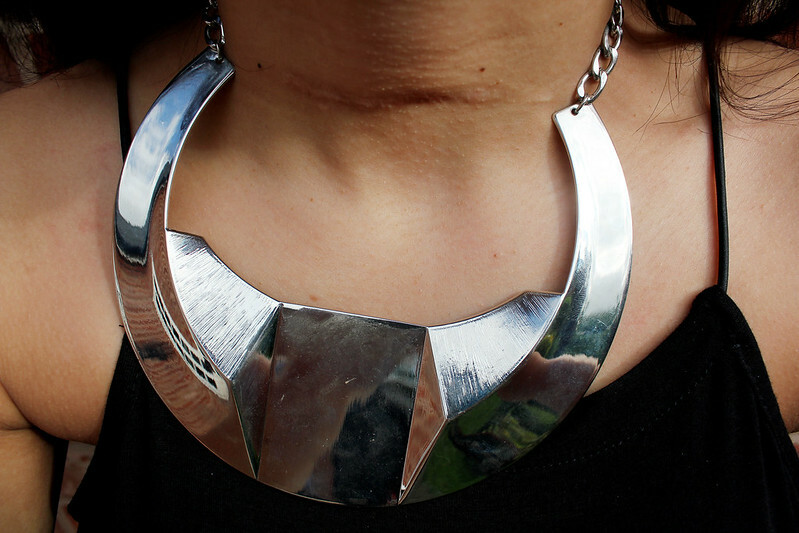 It's such a statement necklace to change your outfit. 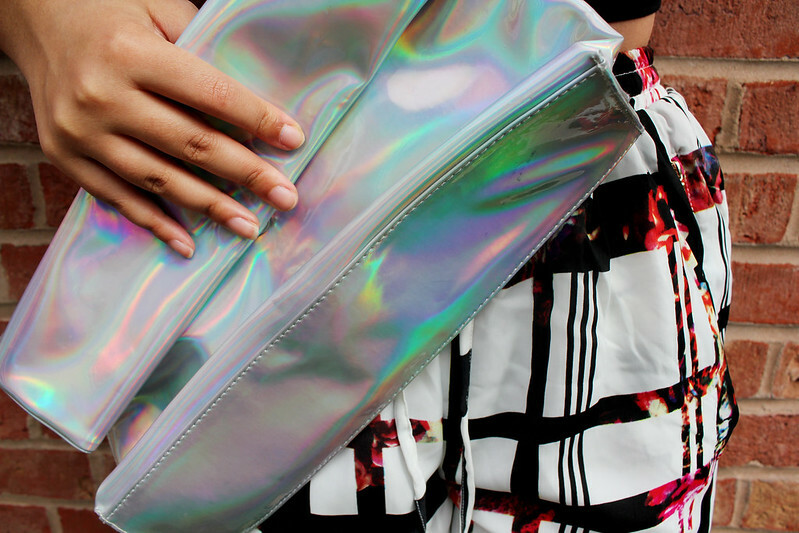 I've also teamed this outfit with my favourite holographic clutch from New Look! Lovely outfit! Those trousers are amazing - such a striking print! Love ur Outfit! and those shoes are awesome.